Product Description Update your space with the unique style of the Holloway floor lamp. 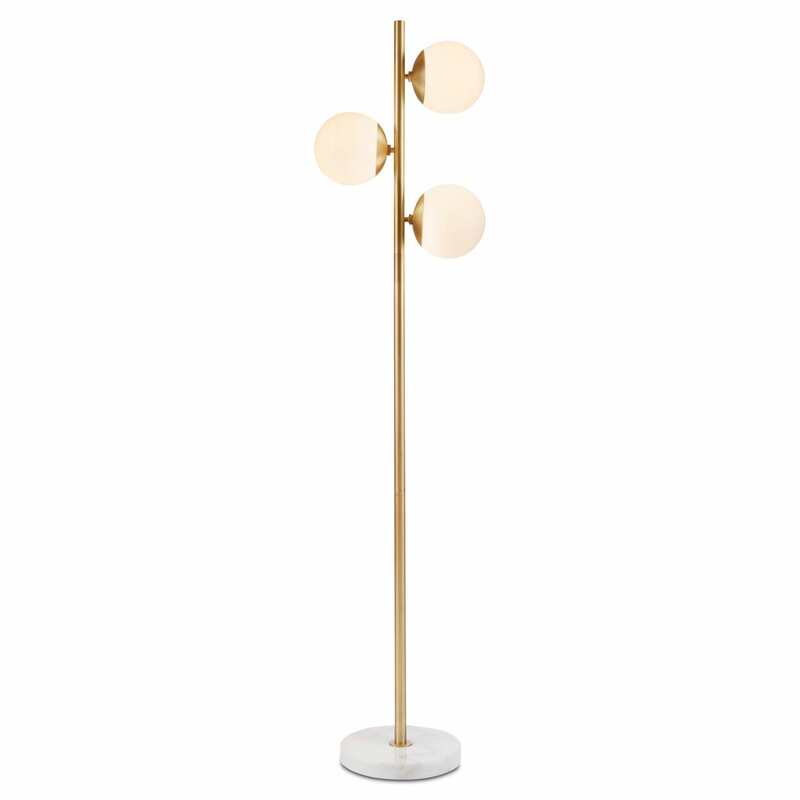 This floor lamp features a white glass shade and a metal fixture with a gold finish for a striking contrast. The rounded shape creates a truly modern look for your living room or bedroom. Three Type A light bulbs are needed.